In the world of non-sports cards, there are a few sets that rise above the rest…the staple issues that are considered the cream of the crop. There are fun sets like the 1959 Fleer Three Stooges issue and sci-fi classics like the 1962 Topps Mars Attacks set but one would be hard pressed to think of a more important superhero card set than the 1940 Gum, Inc Superman set. This 72-card issue contains colorful drawings of the Man of Steel in action. It is also incredibly-difficult to find in high grade. In the following piece, we take an in-depth look at Superman's first set. In the late-1970s, Christopher Reeve portrayed Superman on the silver screen and the movie became an instant classic. Not only was the movie a commercial success, the theme by John Williams became one of the most iconic compositions in cinematic history. As a result of its popularity, many Superman-themed collectibles followed, including a trading card issue featuring images from the first of several films starring Reeve as the Man of Steel. In the next piece, we dive further into the 1978-79 Topps Superman set. At a mere 10 cards, this set is one that collectors could hold in the palm of their hands. Not only is the set built upon the most powerful presence to ever walk onto the baseball field, it contains some of the most significant cards the hobby has to offer. For those of you who follow the market closely, two of the hottest cards over the past 5 years have been the M101-5 and M101-4 Sporting News Babe Ruth cards. The two cards in this set, both graded PSA NM-MT 8, are arguably worth $1,000,000+ by themselves. The Goudeys, US Caramel and Leaf cards of Ruth are also each graded PSA 8. Click here to view. The deadline for this year's PSA Set Registry Awards was Friday, May 31st. Judging is underway and winners will be announced by the end of June. Good luck to all who are in contention and thank you for your participation! To review the list of award categories, please click here. Clean Sweep is excited to present its current auction which offers strong offerings in so many categories. The auction is now open for bidding and closes on June 12. Highlights include a stunning 1902 Carl Horner Boston Red Sox original cabinet display in the original frame, a very attractive 1952 Topps Mantle 3.5 and a signed 1952 Topps Mantle PSA/DNA Mint 9. Collectible Classics' CCA33 auction, which closes June 27, features 426 sports and non-sport lots, including a collection of rare Pittsburgh Pirates memorabilia, the first installment of the Bert Randolph Sugar collection, Yankees and Reds collectibles and 19th century items. The auction offers more than 120 lots of baseball cards and more than 75 lots of baseball autographs. There are 1011 lots for auction that will end on Thursday, June 13, 2013, at 11 PM EST using the 15 minute rule. This auction features many high grade and low pop cards for collectors to complete their sets from the 1910s through the 1970s. Rookies include Roberto Clemente, Nolan Ryan, Hank Aaron, Roy Campanella, Wayne Gretzky and more. There is a large run of T206, 1952 Topps, 1967 Topps and everything else in between. 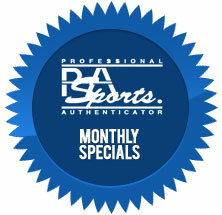 In the memorabilia section, there are some HOF signed baseballs authenticated by PSA/DNA. Huggins and Scott's third Masterpiece Auction of 2013 is in its final days of bidding. Bidding closes on Thursday night, June 13th with the 30-minute rule beginning at 11:00pm EST. This auction features another amazing array of sports and non-sports items that caters to every level of collector and investor. Whether you only want to spend a few hundred dollars or several thousand dollars, our selection of quality items has a little something for just about everyone. 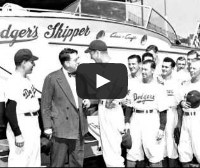 The June Sterling Sports Auctions #23 is now Live. The Auction ends June 20th. Sterling Sports Auctions #23 includes 650 Lots from the 4 major sports plus other sports and Non-Sports cards. The auction features over 250 T206s including Cy Young, Bare Hand, PSA 5.5, plus other graded Hall of Famers and commons. In your opinion, how much of an impact do current superhero movies and television shows have on the value of vintage superhero trading card sets?